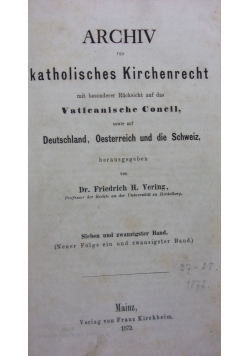 Archiv Katholisches Kirchenrecht, 27 band, 1872r. Friedrich H. Vering - After completing his course at the gymnasium of Paderborn in 1850, he studied law at the Universities of Bonn and Heidelberg, and graduated at the latter university in 1856. 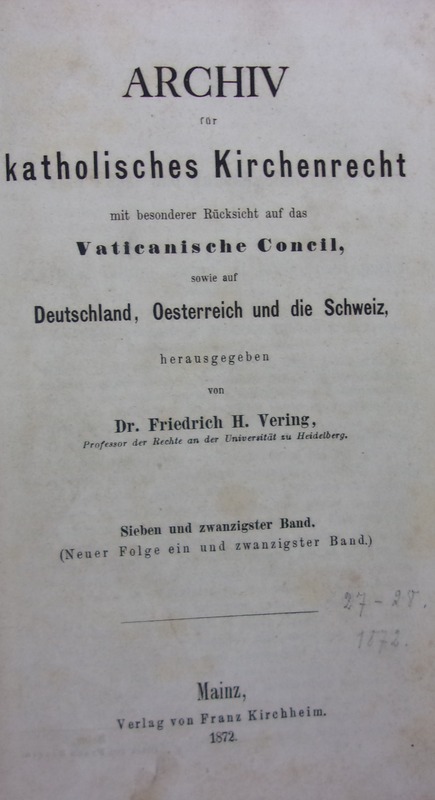 He was admitted there as privatdocent of Roman and canon law in 1857, and became professor extraordinary in 1862. He held this position until 1875 when he accepted the chair of canon law at the newly erected university of Czernowitz in Bukowina, Austria. 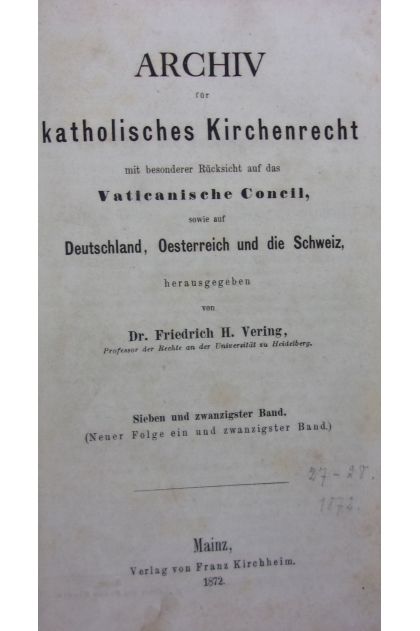 In 1879 he became professor of canon law at the German University of Prague, holding this position till his death. 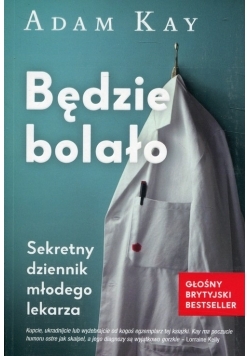 Uwagi: Blok spójny. Druk czytelny. Brzegi stron zakurzone, zabrudzone. 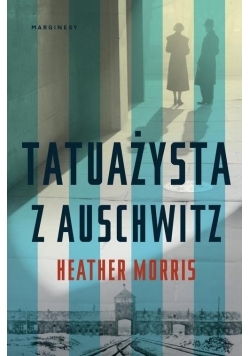 Oprawa złożona introligatorsko, wytarta , zabrudzona, postrzępiona na rogach. 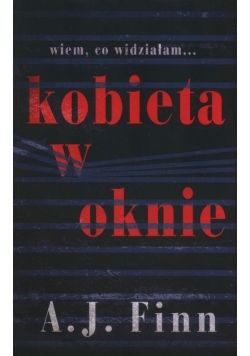 Strony mocno pożółkłe.